Hello everyone and happy 420 2019! Welcome to VaporizerWizard.com, my name is Buzz Danklin and this is going to be my fifth year compiling 420 vaporizer deals. 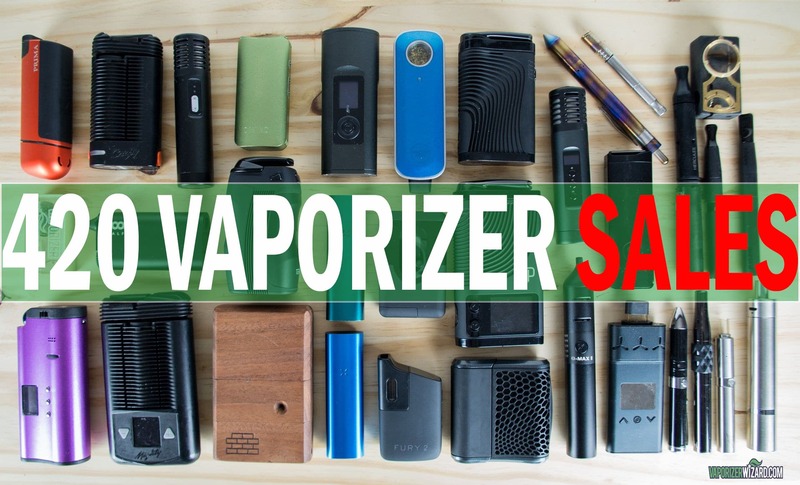 The 420 sales actually happen to be the best time of year (tied with Black Friday/Cyber Monday) to pick up a portable, desktop or vape pen at a steep discount. Many companies have sales that go live early like Puffitup and Vapor, and they sell until supplies last. There are also some companies that hold out sales until the 15th and even later like Planet of the Vapes so be sure to check back. Who’s on my list: I have personally purchased from or worked with in some capacity all of the distributors and manufacturers that I am recommending on this page. You can buy from these sites knowing that you are getting a genuine product from a legit company and/or manufacturer. Where to start: I’ve listed everything below by manufacturer/distributor. So if you know what type of vaporizer you want, scroll down and you’ll see who will have the best deal. If you don’t quite know what vaporizer you want you can check out my article for best portable vaporizers or best desktop vaporizers. Have any questions? If you have any other questions you can hit me up at my contact page or leave a comment below. I will be available all week to answer questions and help. Final Note: This article is a work in progress, I will be constantly tweaking it until 4/20/2019. Hope everyone has a great holiday! Best deals of 2019? In my opinion the Crafty and the Mighty are two of the very best portables and they both have great 30% off sales. The Volcano is 25% off and the Ditanium from Puffitup is 20% off with a free carb cap using code: “DITANIUM420”. The PoTV ONE just released on 4/15 and its marked down 20% along with a free bubbler. The Arizer units are a bit cheaper and they also have great sales at both PIU and Planet of the Vapes. If you want a portable for use around home, but can’t justify the Mighty’s price, then check out the Boundless Tera. Lastly for the very cheapest dry herb vaporizer for someone wanting to try vaping on a budget check out the Xmax V2 Pro from PIU. I’m really baked in this video but check out a demo of the Nectar Collector here.